When entrepreneurs are thinking about the construction of a ropes course or treetop adventure, it’s wise to think about safety. What standards and systems are there? How often does a park need to be inspected? We noted all the aspects in a brief summary. The types of standards, safety systems and suppliers are of high importance. A European Safety Standard has been developed for high ropes courses: the EN 15567. High ropes courses must be certified according to this standard and may not be in use before they are certified. Since 2015, we at Active Constructions have been developing net adventures which are nets courses where families can play in. People can jump in large Bounce Nets, slide down the Tubing Net Slide or climb the Treehouse Track. With these adventures, the nets function as safety system: if participants fall, their fall is broken by the nets. 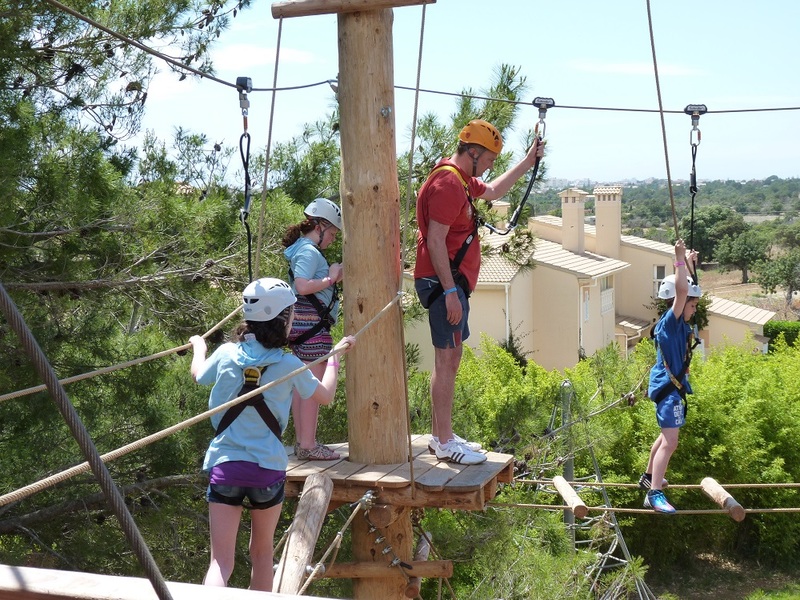 This offers the great advantage of a low supervision level with the adventures having a higher capacity than high ropes courses or treetop adventures. Before a park is completed, an inaugural inspection has to be done by a type A-inspector who is accredited. Such an inspection contains a visual inspection, functional test and inspection of the design calculations. There are also daily inspections which have to be performed by the staff of the park. A periodic inspection usually happens every 1-3 months and is more extensive than the daily inspections. Finally, an annual inspection has to be performed which again has to be done by an accredited person (type A-, B-, C-inspector). The results of the inspections may lead to maintenance that is needed based on the inspection. This way, the safety of the park is guaranteed. Consider the safety aspects of an investment in a high ropes course, treetop adventure or net adventure. Try and gather information regarding the different standards and systems. Also take the inspections and maintenance into account. Collective belay could offer a lot of advantages regarding staff costs, turnover and eventually your successful exploitation. Also, the net adventures can offer families a unique, active and fun experience. Would you like more information on the safety of ropes courses, treetop adventures and net adventures? Look at all our adventures.